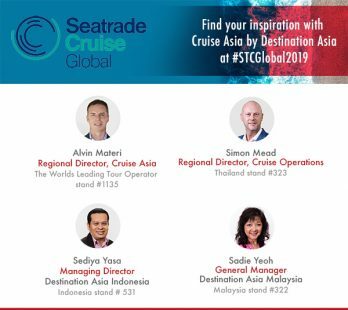 Cruise Asia by Destination Asia, the continent’s leading shoreside services and excursion provider, will be exhibiting at Seatrade Cruise Global in Miami from 8-11 April 2019. The numbers tell the story ‹ the current cruise growth we are experiencing in Asia is unprecedented. We now have 38 active cruise brands in Asia, with more coming. Theo brings to Destination Asia Japan over 20 years of solid work history in the hospitality and tourism industry, encompassing airline, cruise and hotel sectors. Cruise Asia by Destination Asia Myanmar recently managed the inaugural port call by The Silver Discoverer at Ngapali Beach, Western Myanmar. The horseshoe shaped Rang Yai Island sits roughly five kilometers off Phuket’s East coastline, close to the larger Coconut Island. The Pegu Club was established in 1882 by the British and is one of the few landmarks in modern Yangon that features Georgian and Victorian architectural designs.